With the increased knowledge as to the many benefits of Hemp Extract Oil and cannabinoids, there has been an influx in companies starting to produce their own version of CBD Oil or Hemp Extract Oil. The ambiguity as to which companies are producing a quality product has made it harder for consumers who are looking to reap the many benefits for themselves or their pets. We want to help by outlining several factors that should be taken into consideration before you decide to purchase any CBD or Hemp Extract Oil whether it is from us or one of our numerous competitors. The most important thing for us at WAAYB is that you are making an informed choice to purchase a quality product that will give you the maximum results and most importantly not harm you. In part one we looked at where the hemp comes from and the different types of hemp related oils on the market. In this post we are going to address the difference between extraction methods and manufactured by versus manufactured for. Ethanol extraction has very many different forms from very scientific; using lab equipment or the opposite of that which is just dumping ethanol into a big drum containing hemp products commonly known as an Alcohol Bath. The ethanol over time will remove the oil from the fats and lipids of the plant. The ethanol is then evaporated and the remaining oil is then used. This can be one of the cheapest methods of extraction and takes the least amount of time. This is when hydrocarbons, such as Butane, is forced through plant material inside a reactor commonly know as blasting to remove plant oils. If these solvents are not properly removed properly in post-processing, they can remain in the final product. Supercritical CO2 uses CO2 and pressurized and temperature controlled chambers to bring CO2 to a Supercritical state. CO2 in its Supercritical state is neither in a gas or a liquid state, but shares the properties of both. This means that the CO2 can effuse through plant material like a gas, but has the properties of a liquid to pull the oils out of the plant. This is the only form of extraction that is free of toxic solvents. 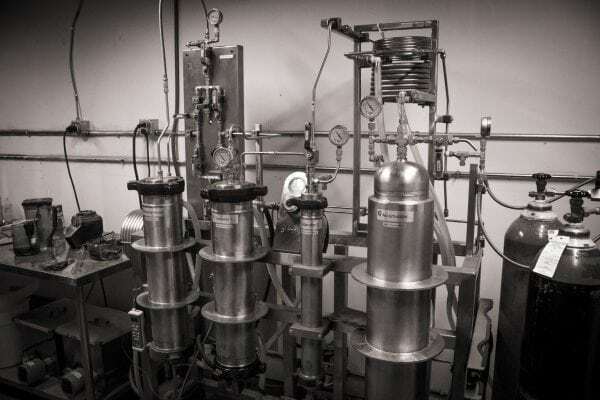 We go into more depth about Supercritical CO2 extraction here. Also if you want more information on our extractor you can go to here. Isolate is a final stage of extraction that some extractors choose to bring cannabis to in order isolate CBD. 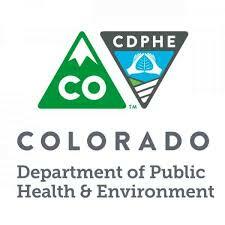 This method can be used on plants that have either been exposed to mold or pesticides in order to solely extract CBD. This method uses several harsh solvents such as Acetone, Chloroform, and Hexane, which if not removed properly can end up in the final product. There is also concern that the process of exposing the hemp to such harsh solvents can change the molecular structure of the cannabinoids. There is a very important difference when you are looking for products or have someone approach you about their new and best hemp extract or CBD oil. That is how the bottle is labeled (assuming that it is labeled correctly). Some products have “Manufactured By” on the label which is an important distinction because that means that they have done the actual process of extraction themselves. They should have proper chain of where their hemp was sourced, and third party testing on all of their products to ensure quality and quantity. The companies with these products are usually very forthcoming with the testing information and can provide information willingly since they know firsthand where the hemp was sourced, extraction methods etc. Products with the labeling “Manufactured For” or “Packaged and Distributed by” are a very different story. 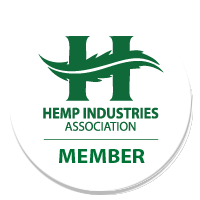 These products purchase their hemp extract from a third or fourth party. It is very hard for them to be able to show chain of custody over the quality of the product because they are very removed from not only the process of extracting the hemp, but also where the hemp was even grown. This entry was posted in Articles, Hemp Extract Oil and tagged extraction, hemp extract oil, supercritical co2.